The Balfour Declaration of 1917 is an open letter dated November 2, 1917, signed by Arthur Balfour, the British Foreign Secretary. It is addressed to Lord Lionel Walter Rothschild (1868-1937), an important figure within the British Jewish and financial community of the Zionist movement. The statement was published in the London Times on November 9. With this letter, the United Kingdom was in favour of the establishment in Palestine of a Jewish national home. This statement is considered one of the first steps in the creation of the State of Israel. During that time, the Jews represented 10% of the population of Palestine: 60,000 were Jews and just over 600,000 were Arabs. Some contemporary accounts consider the Balfour Declaration as a disinterested gesture and a Christian project that intended to help an ancient civilisation to regain possession of their ancestral homeland. Such desire to help the Jewish people stemmed from the biblical romanticism of some British officials and their sympathy for the condition of Jews in Eastern Europe. Subsequent studies suggest that the main reason for issuing the declaration was the cold calculation of British imperial interests. It was mistakenly believed, as it turned out later, that British interests would be better protected by an alliance with the Zionist movement in Palestine. Palestine controlled the communication routes of the British empire with the Far East. France, Britain’s main ally in the war against Germany, also had imperial interests over Palestine. With the secret Sykes-Picot agreement of 1916, the two countries divided the Middle East into zones of influence. By helping the Zionists occupy Palestine, the British hoped to secure a predominant presence in the area and to exclude the French. The main victims of the Balfour Declaration, however, were not the French, but the Arabs of Palestine. The declaration was a classic European colonial document put together by a small group of men with a totally colonial mentality. Foreign Minister Arthur Balfour made no effort to disguise his contempt for Arab communities. In fact, the minister claimed: ‘in Palestine, we do not propose even to go through the form of consulting the wishes of the present inhabitants of the country….The Four Great Powers are committed to Zionism. And Zionism, be it right or wrong, good or bad, is rooted in age-long traditions, in present needs, in future hopes, of far more profound import than the desires and prejudices of the 700,000 Arabs who now inhabit that ancient land………. In short, so far as Palestine is concerned, the Powers have made no statement of fact which is not admittedly wrong, and no declaration of policy which, at least in the letter, they have not always intended to violate’ (Nutting 2013; citing Balfour). 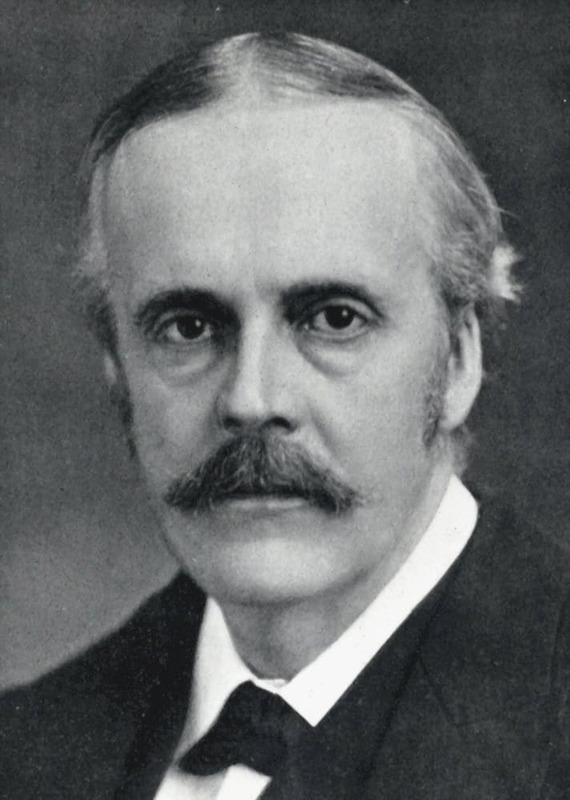 Arthur Balfour was an English aristocrat. The real driving force behind the statement was not Balfour, but David Lloyd George, an impetuous Welsh radical who led the government. In foreign affairs, Lloyd George was a British old-fashioned imperialist and a land usurper. His support of Zionism, however, was based not on the correct assessment of British interests, but on ignorance: he admired the Jews but at the same time feared them and did not understand that the Zionists were the minority of a minority. By favouring the Zionist movement, Lloyd George believed that the Jews were extraordinarily influential and that they would accelerate a historical change. In short, British support for Zionism during the war was rooted in an arrogant colonial attitude towards Arabs and in the wrong opinion about the global power of the Jews. Britain included the terms of the Balfour Declaration in the Mandate for Palestine, a legally binding document published by the League of Nations. What had been a mere promise by a great power to a minority, became a legally binding international instrument. More precisely, as mandatory power, Great Britain assumed a twofold obligation: 1. to help the Jews gain possession of their land; and at the same time, 2. to protect the civil and religious rights of the Arabs. Great Britain respected the first obligation but failed to honour its second commitment. As a consequence, Britain was guilty of playing a double game. Now, the real question one ought to ask is: did this immoral policy bring any concrete advantages to Britain? Such a choice did not bring any advantageous outcomes to the United Kingdom. Moreover, the Zionists stated that everything Britain did for them in the interwar period was far from what it had originally promised. 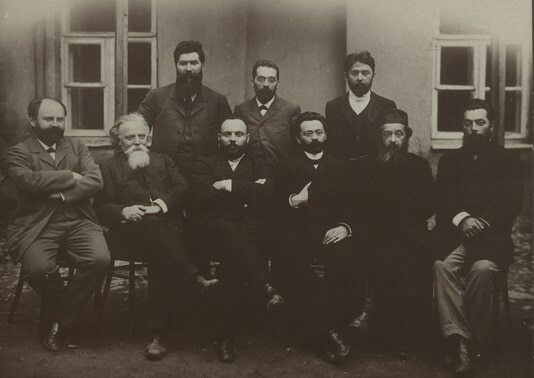 They argued that the declaration promised support for the creation of an independent Jewish state. British officials replied that they had promised only a national territory, which is not the same as a state. At the same time, Britain suffered hostility not only from the Palestinians but also from millions of Arabs and Muslims around the world. Overall, the Balfour Declaration appears as a colossal mistake made by Britain. The Zionists occupation of Palestine continues today and is illegal. Given the historical documentation, one might expect the British leaders to lower their heads in shame and admit the mistakes of the UK’s poisonous colonial past. However, three former British prime ministers, Tony Blair, Gordon Brown and David Cameron – have shown strong support for Israel and absolute indifference towards Palestinian rights. “We are proud of our pioneering role in the creation of the State of Israel. We are proud to stand here today together with Prime Minister Netanyahu and declare our support for Israel. And we are proud of the relationship we have built with Israel. Israel is the true start-up nation and we are proud to be your partner. We also remain absolutely committed to Israel’s security. So I am clear that we will always support Israel’s right to defend itself. And in a world where Britain and Israel increasingly face the same shared challenges and threats, I am just as clear that our security services will continue to deepen their already excellent co-operation to keep all our people safe. We must recognize how difficult at times this journey has been – from the Jews forced out of their homes in Arab countries in 1948 to the suffering of Palestinians affected and dislodged by Israel’s birth – both completely contrary to the intention of Balfour to safeguard all of these communities. For sadly, Balfour remains unfinished business – as his fundamental vision of peaceful co-existence has not yet been fulfilled. And I believe it demands of us today a renewed resolve to support a lasting peace that is in the interests of both Israelis and Palestinians – and in the interests of us all. So let me be clear. Criticising the actions of Israel is never – and can never be – an excuse for questioning Israel’s right to exist, any more than criticising the actions of Britain could be an excuse for questioning our right to exist” (May 2016). ‘The Balfour Declaration is a historical statement that His Majesty’s government does not intend to apologise. We are proud of our role in creating the State of Israel. The Declaration was written in a world of competing imperial powers, in the midst of the First World War and in the twilight of the Ottoman Empire. In that context, establishing a homeland for the Jewish people in the land to which they had such strong historical and religious ties was the right and moral thing to do, particularly against the background of centuries of persecution. Much has happened since 1917. We recognise that the Declaration should have called for the protection of political rights of the non-Jewish communities in Palestine, particularly their right to self-determination. However, the important thing now is to look forward and establish security and justice for both Israelis and Palestinians through a lasting peace’. Although a century has passed, the colonial mentality of the British political elite is still deeply rooted. It is surprising that today’s British leaders, like their predecessors from the First World War, still refer to the Arabs as ‘non-Jewish communities in Palestine’. [1.] Formigoni, G. (2000). Storia della Politica internazionale nell’età contemporanea, Bologna, Il Mulino. [3.] Times of Israel (2017). 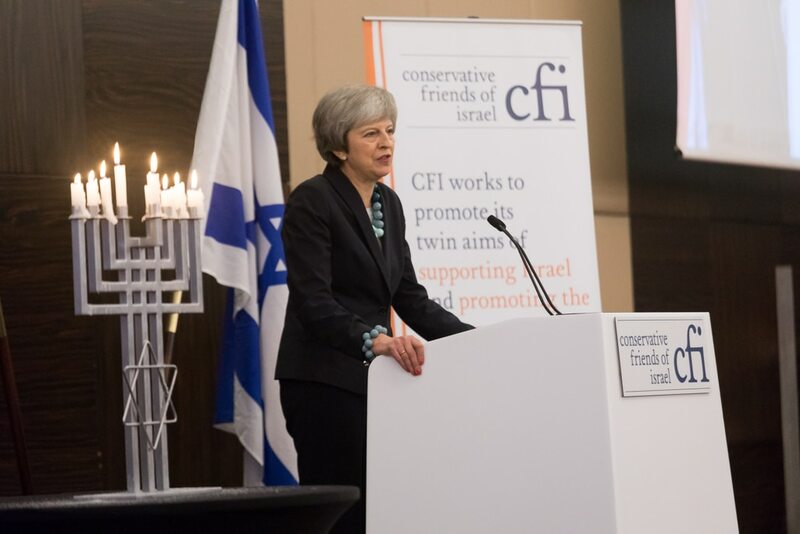 Full text of May’s speech at Balfour Declaration centenary dinner.